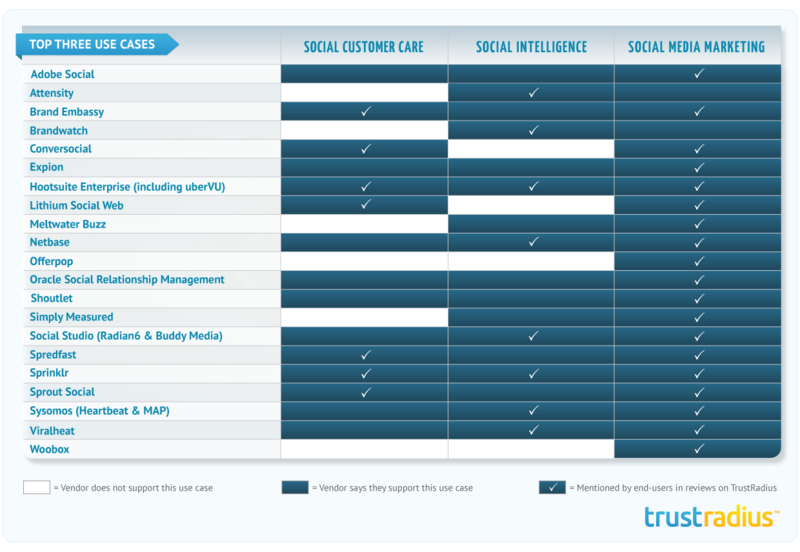 Our friends of TrustRadius just published the 2015 Buyer’s Guide to Enterprise Social Media Management Software. It provides practical guidance to help you find the best social media management software solution for your use case. The guide focuses on the needs of enterprises (companies with more than 500 employees), but also provides useful insights for social media-advanced smaller companies. Based on thousands of insights from real software users , it offers an in-depth exploration of how enterprises are leveraging social media in their business processes, and which software products support those activities. Their research team analyzed 422 reviews of social media management software by authenticated users on trustradius.com, with the vast majority of reviewers sourced independently of vendors. 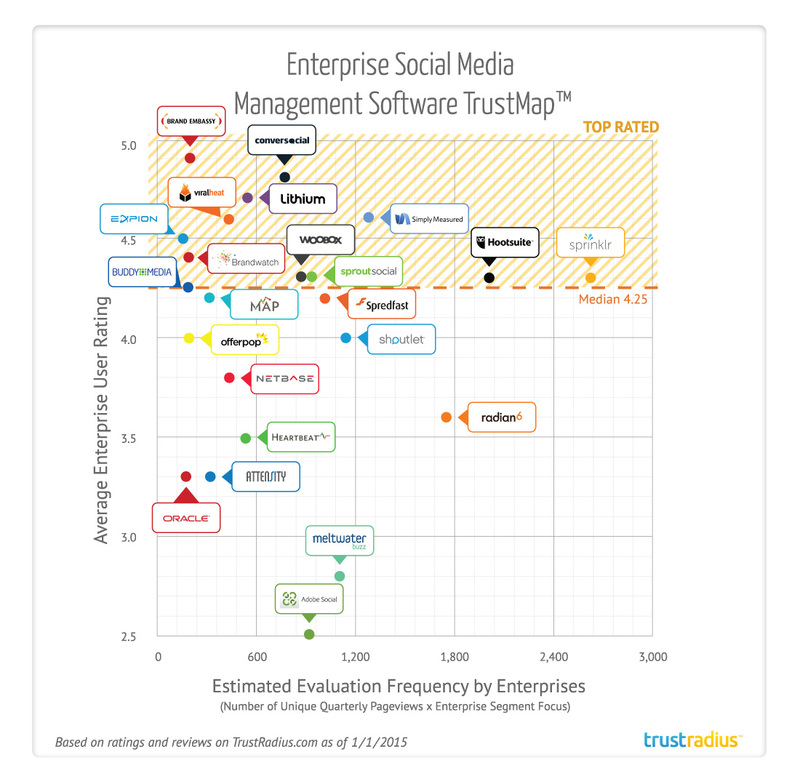 The Best Social Media Management Software for Enterprises: TrustMap™ is an objective visual depiction of the 23 social media software products included in this guide, based on end-user likelihood to recommend ratings and evaluation frequency. User Ratings and Feedback by Software Product: Here you’ll find an evaluation of 23 different social media management software products used by enterprises, including strengths and weaknesses, and other insights gleaned from end-user reviews on TrustRadius. 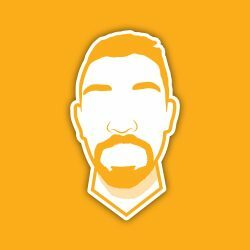 If you’re in the market for a social media management tool, you should be able to identify your use case(s) and find the set of tools that you might want to consider in your search. 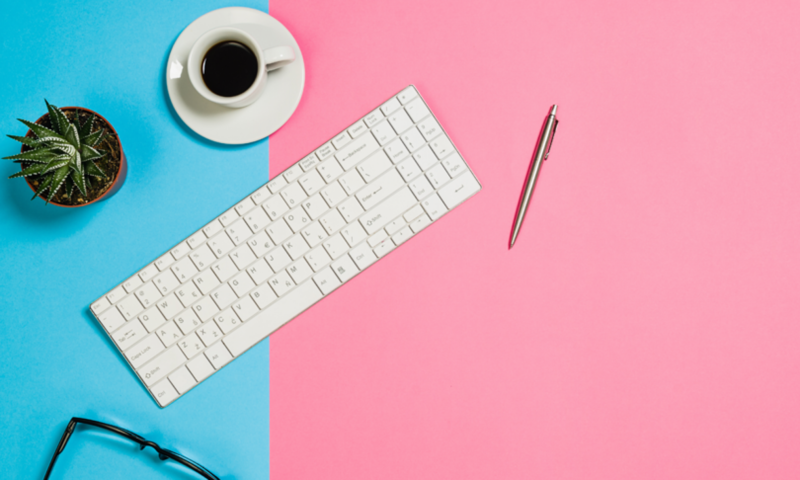 If you’re just starting to think about expanding your company’s use of social media, the exploration of use cases could spark ideas of how you can leverage social media to advance your business goals.